Political parties in Turkey announced their candidate lists for the upcoming parliamentary election. The pro-Kurdish Peoples’ Democratic Party nominated 3 LGBTI activists as candidates, albeit from lower positions. A trans activist was also nominated as a candidate for the newly founded Anatolia Party. Political parties in Turkey submitted their lists of candidates to the Supreme Election Board (YSK) on April 7 as the country prepares for the June 7 general elections. 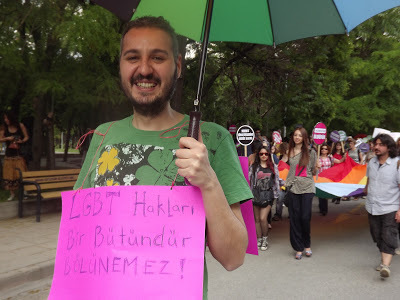 Only 4 LGBTI activists were nominated as candidates for the 550-seat parliament and they are at lower positions on the lists, which postpones the hopes for the first openly LGBTI member of parliament in Turkey until the 2019 elections. Barış Sulu, an openly gay Peoples’ Democratic Party (HDP) candidate, was nominated from Eskisehir in the last position. For Sulu, having LGBTI candidates itself is more valuable than their position on the list. However, he said that he wished there were more LGBTI candidates. The HDP, which has to pass the 10 percent electoral threshold, also nominated two feminist and LGBTI activists -Özlem Sen from Mersin in the 4th position and Gülistan Aydoğdu from Ankara in the 12th position- as candidates. 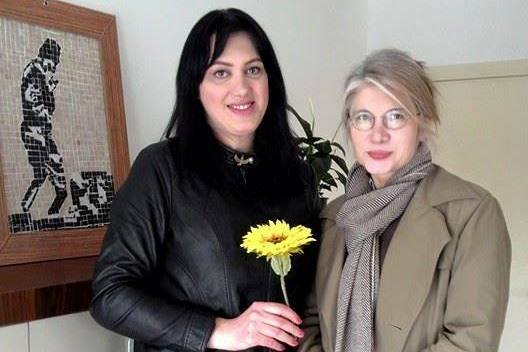 Deva Özenen, a Christian trans woman in Izmir, was nominated as a candidate by the Anatolia Party which was founded by Emine Ülker Tarhan who resigned from the main opposition Republican People’s Party last year. “I am an ‘other’ both as a trans and as a Christian. By nominating me as a candidate, the Anatolia Party showed that they are not canvassing,” Ozenen told KaosGL.org. Ozenen also underlined that Kemalism is not an elitist ideology but it embraces all oppressed groups including sexual minorities.